Our increasingly global economy is driving a hard bargain: innovate or eat your competition’s dust. Risk and opportunity are plentiful in this world and no one is absolved from being outperformed or outmaneuvered. But like most significant changes, it isn’t happening overnight. Pressure is being applied in varying amounts and in different ways leaving companies with enough time and space for choosing their next move. But in manufacturing, competition is fierce and time is running short. Production systems, often the differentiator in creating a sustainable competitive advantage in manufacturing, have driven a great many companies to adopt best practices like lean manufacturing, six sigma and so on. But it hasn’t stopped there. The Internet of Things (IoT), the convergence of the physical and digital worlds, has introduced unparalleled opportunities to capitalize on new business models and operational capabilities. It is the disrupter of disrupters and gradually transforming the way industries like manufacturing do business for good. If you haven’t already started working with IoT or are unsure how it can be deployed in your business, don’t worry. We have advocated the low-hanging fruit approach to IoT before and will do it again (sometimes you gotta stick to what works). 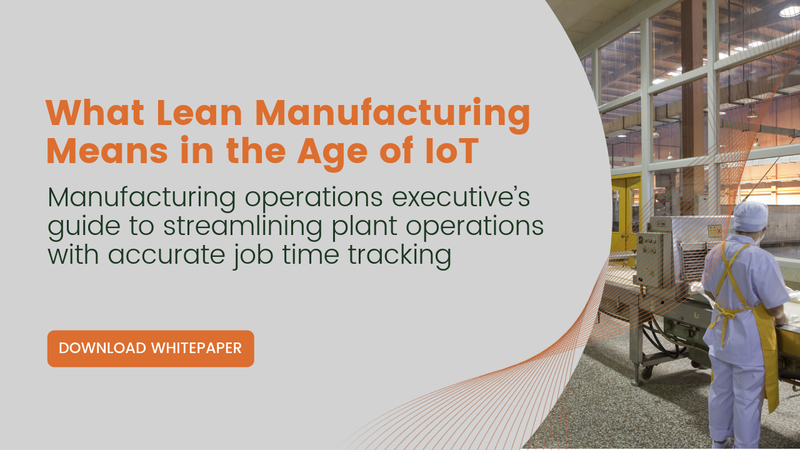 In manufacturing, production scheduling is a low-hanging fruit for IoT and a great place to start your IoT journey. We’ll dig deeper and demonstrate why that is and the steps you can take to begin upgrading your operations before time. runs. out. Orchestrating a fast and efficient production line requires many moving parts working in unison, synchronized to the beat of orders completed on time and error-free. While top tier manufacturers are known to follow stringent quality and efficiency standards, seeking higher OEE, fewer losses, and faster changeovers, small and medium-sized businesses are generally less advanced and operate with fewer technological resources and sophistication. Regardless of the company, in today’s world you are responsible for showing improvement quarter after quarter, year after year. Often in the form of greater efficiency. Production scheduling is one of the key differentiators in this battle for efficiency. As a part of manufacturing planning, production scheduling organizes what a company plans to produce and by when. With variables impacting this constantly changing, MRP/ERP software has become a basic resource planning tool necessary for keeping everything organized. The only problem is that while resource planning tools are great, they are only as good as the data that’s fed into them. They are not enough. Which is where IoT comes in. IoT provides what was previously too complex or costly to capture – more data. Production scheduling is one of the areas where more data can deliver clear and measurable results with more data. More data can empower internal managers with actionable insights to improve their operations in real-time. That’s not just cool, it’s an industry game-changer. What kind of data do you want that you don’t have already? What kind of data do you even need? These may be difficult questions to answer and part of integrating your business with IoT is figuring these out. The good news is that there is no limit to the number of data points you can gather and analyze. Low-cost robust sensors are becoming ubiquitous which means everything from operating conditions of machines, environmental conditions of the facility, precision timing and location-based tracking have all simultaneously become available. So what can IoT do for you, really? A robust IoT solution built for industry, like our own Simon AI, is designed to take this data and use it to solve common operational challenges you face on a daily basis. Let’s assume that you’re a production line manager. An average day can see many different challenges arise that impact your efficiency in production planning and job scheduling. Someone calls in sick. Tools are misplaced and searched for longer than usual. Unexpected downtime occurs. A range of issues arise that require effective management to work through. But some are not as obvious as others. In fact, many areas of improvement are only possible to know by a thorough examination of disparate (and at times seemingly random) data points using powerful analytical tools present in an IoT solution. Allowing frontline managers to focus on optimizing their line. What kind of IoT solution is best suited for production scheduling? Time after time we’ve been asked this question and realized that for medium-sized businesses, there was no ideal solution available. So we built it ourselves. Simon AI is an end-to-end IoT solution made for the industrial world to solve the most common operational challenges they’re up against today – production scheduling among them. We know the kind of financial and operational challenges SMBs endure. We’ve been working closely with them through location-based solutions for almost a decade. That’s why we built the first IoT solution specifically for SMBs that extracts the value-add of IoT without the heavy overhead and development cycles. Remember how we said a great start to IoT is to find the low-hanging fruit? Simon AI was built to capture the low-hanging fruit that IoT provides without the cost and complexity of traditional IoT solutions. We cover that in greater detail here. 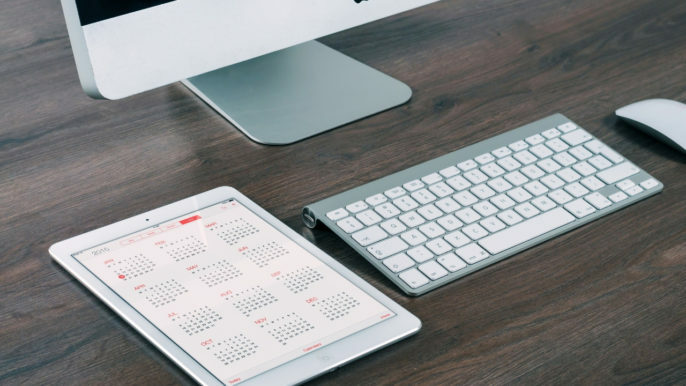 Production scheduling can be a hassle when you have to constantly balance and estimate the resources and time required to complete different jobs. With Simon AI, we’ve made it possible to know what is occurring moment to moment by equipping machines and workers with sensors. Then, we can cross reference this data with the production schedule to understand where action is needed faster and more effective than ever before. New to Simon AI? Learn more about how it can work for your business by requesting a demo here and reading more about how we’re bringing IoT to SMBs around the industrial world below.